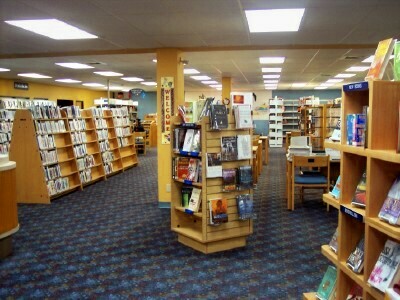 Our library is committed to providing a consistent, patron-driven collection and addressing as many community needs as possible. This page covers circulation, and results of returning items late, or losing items. Please note: There is a book return on the side of the building, and one at the exit driveway curb where you are able to return books and DVDs. How many days do items circulate and what are the fines per day? Yes, once you have your card, you can begin using your online account by clicking on "access my account" on our home page. Once you are set up, you can renew your own materials as long as they are not overdue when you attempt to do the renewal. If you do not want to renew online, you can call us at 409-962-6281or text us at 409-203-6642, and we will renew your materials while you are on the line. You are responsible for remembering your new due date--so have a paper and pencil handy when you call. Also have your library card handy so you can give staff your library card number for your account. Generally, all materials can be renewed at least once unless someone is on the reserve list for the material. The only materials absolutely not eligible for renewal are the 7 day loan bestsellers. Yes, materials can be reserved by going into your account online. If all else fails, you can call us at 409-962-6281 or text us at 409-203-6642 and we will do it for you. But hey, its a lot more fun doing it online. In addition, you can set up alerts for a favorite author, and even enter your email address so you can be notified of a due date, or when your materials are late. 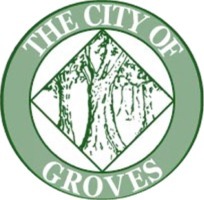 Groves Public Library has a collection comprised of over 30,000 materials. That does not include the access that is available to the digital materials in our consortium with Overdrive. We strive to maintain a consistent, patron-driven collection. You are welcomed to suggest titles for books, however, please understand there are several factors we must consider before ordering any print material. Because our shelves are limited, every book has to "earn its keep." That means that we must ensure a title will be circulated as many times as possible. So, if no one but you will be reading a title, it may not serve the best interests of the library to buy the book.